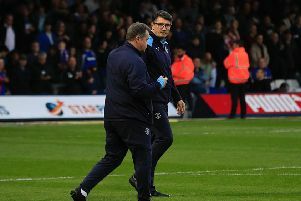 MISSING important games for Luton because of international duty is an annoyance Jake Howells will have to learn to deal with if he is going to become a better player for the Hatters, writes Mark Wood. The adaptable 20-year-old midfielder missed the 2-1 victory at Kidderminster and 2-2 draw at Ebbsfleet United while on duty with Wales U21s. He said: “It is annoying. You feel unlucky when you’ve got two games for Luton.